From the end of the day of the 150th Anniversary of the Battle of Antietam, a couple of quick shots of how it looked at its start. 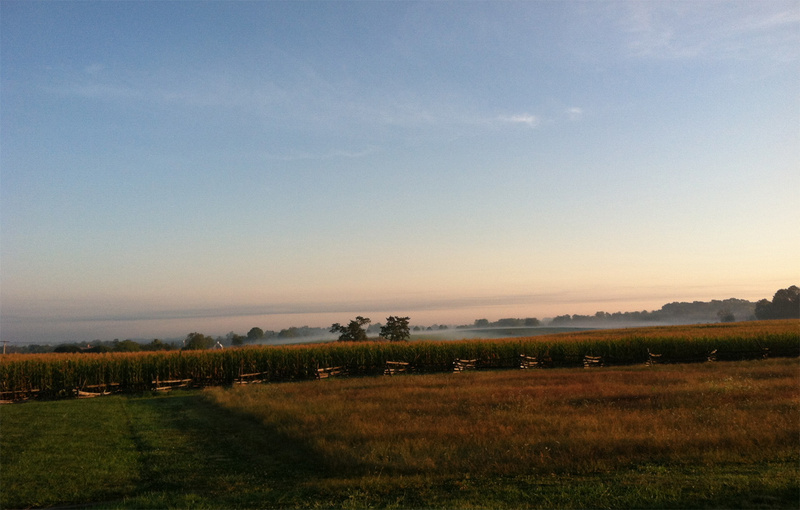 First, early dawn horizon behind the 14th Brooklyn Monument at the south edge of The Cornfield. Then, the sun slightly higher from within the corn. Finally, full daylight; a little black powder smoke lying low over the Cornfield. I happened on this web site when I was searching for information about my 3rd Great-Uncle David Ludlow Thompson. This site is a Gold Mine of information! A big thank you to all who contribute and keep the History alive! These pictures are awesome, you can fill the tension and fear that must have filled the air that September morning 150 years ago.